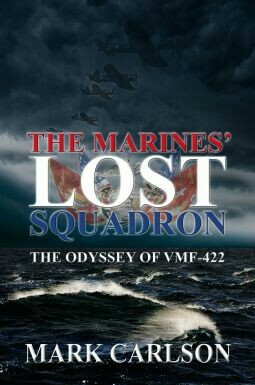 I'm kicking myself for not picking this up sooner , wish I had done so last year but even though it's a new year I'm glad I did finally pick it up to read, because it's the type of non fiction i love to read and can get lost in, the author Mark Carlson not only brings to life the marine's who lost their lives but the ones who lived to tell this story. It's not only about their lives or the ones that didn't make it,it's also about their struggles and what they went through because of one man who didn't seem to care about the very lives of his men he was in charge of. With that said I would love to think Netgalley for giving me the chance to read and review The Marines' Lost Squadron in a change for my honest opinion.